This "Historically Speaking" column was published in the Exeter News-Letter on Friday, January 4, 2019. If the war and the cold weren’t troubling enough, there were other problems that were unsettling. Women were a problem. The newspaper is full of concern about girls and how they spent their time. Clubs, like the Fireside Girls Club or Campfire Girls, were encouraged to keep girls busy. They were urged to join the Red Cross to participate in war work. Women were needed to fill in for the men who were away at war. “Exeter,” the News-Letter announced with startled simplicity, “has three lady milkmen.” The same July edition noted that women would be eligible for rural carrier positions and, “at the request of the post office department” women would be admitted to “rural carrier examinations upon the same conditions as men” for the duration of the war. What was the world coming to? Soon the ladies might seriously want to vote! To counter this disturbing trend, Hollywood cranked out films designed to warn against the loss of femininity. The Ioka featured: “Womanhood: The Glory of the Nation!” “Sirens of the Sea” (“a seductive dream of fair women”) and the cautionary, “Enlighten Thy Daughter,” (“an education to the Mothers and Fathers of America. A lesson to our young girls. A treat to the Motherhood of this generation!”) The Women’s Club proposed hiring a town social worker. “Too many young girls court temptation in our streets, lacking home restraint and ignorant of danger. Much could be done by a wise woman to help anxious but impotent mothers,” read a letter to the editor. As if mothers didn’t have enough to do worrying about their sons off at war. The News-Letter did have a piece of good news for the town – Lady Justice returned. “The statue of Justice has been replaced on the cupola of the Town Hall, where since 1855 it had stood until the severe wind of October 30 last so damaged it that temporary removal was required for restorative work.” The revived statue, which was completely rebuilt from the waist down, was hoisted aloft on March 29 and the staging was removed on April 1st. “That it will surmount the cupola for scores of years now seems assured,” noted the paper. The rebuilt statue stood for another 74 years until it was replaced again in 1992. 1918 was truly one of those years most people were ready to forget. 1919 began quietly without the usual hopeful editorials. 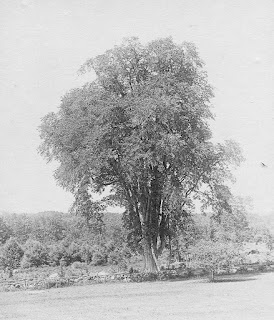 Image: The Bridal Elm, seen in this undated photo, stood near the town line between Exeter and Hampton. It was the legendary site of a romantic runaway marriage. 1918 proved to be an unsettling year for most local residents. 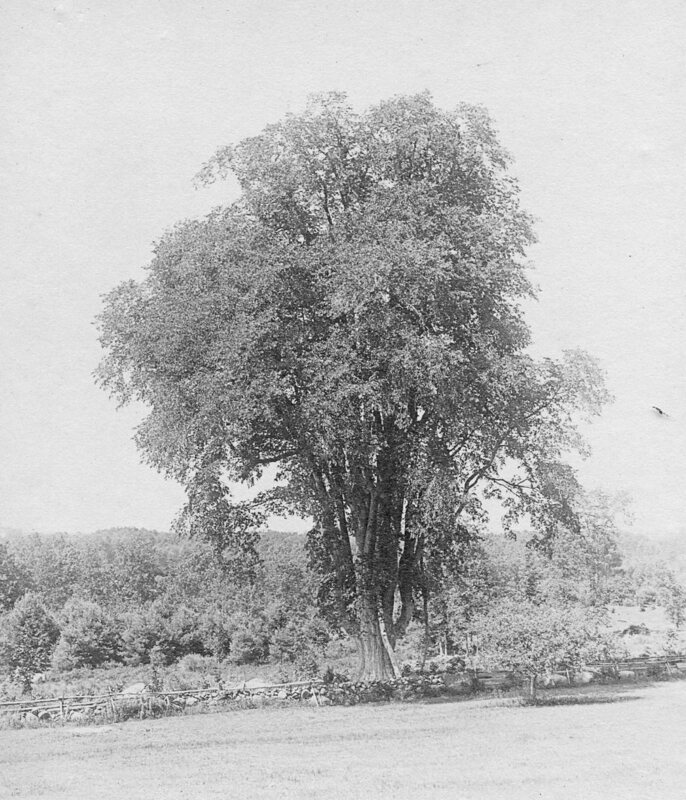 The felling of the Bridal Elm capped off their disappointment.